Construction litigation is an area of law concerning legal disputes that arise out of building projects. Disputes can be about construction agreements, claims of injury or wrongful death caused by negligent behavior. Construction litigation refers to civil lawsuits involving private parties and is governed by rules and burdens of proof that are distinct from those applicable to criminal prosecution. Construction contract disputes that can lead to litigation sometimes involve simple matters, such as non-payment for work completed, unsafe work conditions or not meeting project deadlines. Often the disputes only involve two parties, the general contractor and a subcontractor. Other times, the contract disputes are complex and involve claims regarding the quality and scope of work performed or matters pertaining to clauses in loan agreements. These are likely to include additional parties, such as material suppliers and money lenders. Construction litigation involving negligence often centers on defects discovered by homeowners or commercial property owners, either during or after the construction process. The discovery of these defects will sometimes lead to lawsuits against the builders and the construction companies, based on claims of defective materials, improper soil analysis or negligent structural engineering. Injury and wrongful death claims or other claims of negligence usually involve construction workers and arise from accidents that involve unsafe working conditions, burns, falls, electrocution, or loss of a limb. These accidents will result in a worker’s compensation claim as well as civil litigation. Construction accidents sometimes involve other people, not affiliated with the construction site at all, who may have become injured or killed by such things as dangerous equipment negligently left out in the open, falling debris or fires. Construction litigation can be a long and expensive process for everyone involved. Many disputes involving construction contracts are subject to clauses that enable the conflicting parties to seek arbitration as an alternative means to dispute resolution. 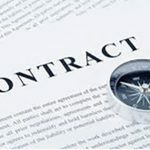 Construction arbitration typically involves an informal process where the parties make their arguments to an arbitrator, who, as an independent third party, makes a ruling on the dispute that is binding in most cases. In some cases litigation is the only or best option for achieving appropriate redress or to defend against allegations of wrongdoing. Hiring an attorney that is experienced in construction litigation that can present your case is very important. Know Your Child’s Education Rights Should I Consult an Attorney When Drafting and Reviewing Contracts?